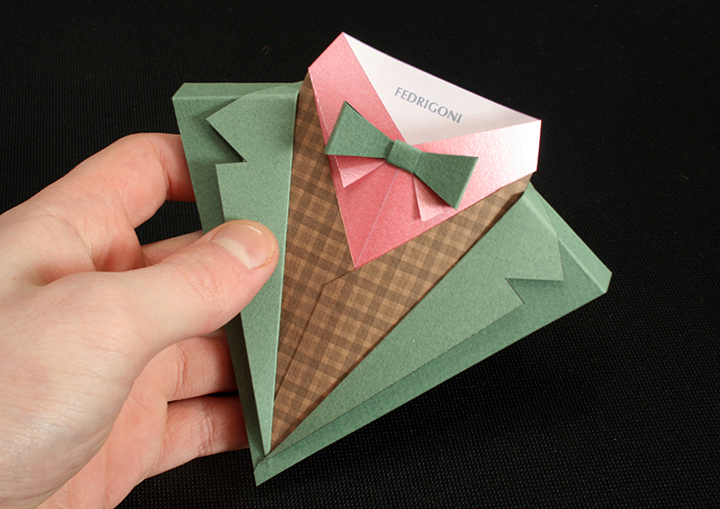 I love this clever project by Jonathan Shackleton, a Freelance Designer based in Leeds, UK. 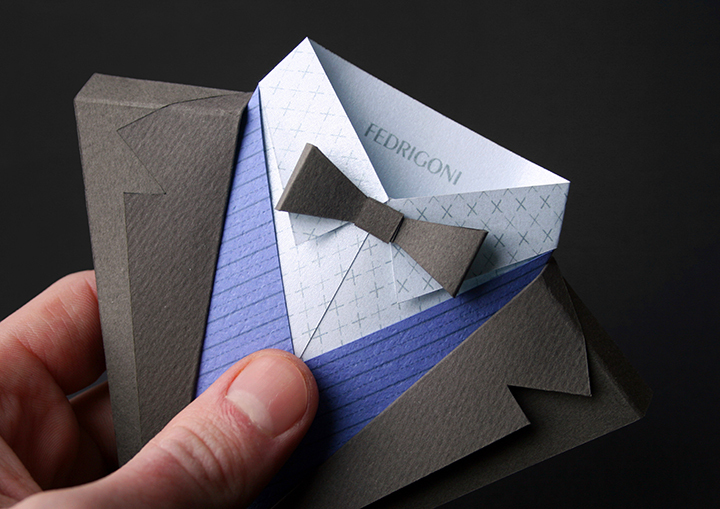 In 2012 Jonathan designed a campaign to promote Fedrigoni‘s papers. 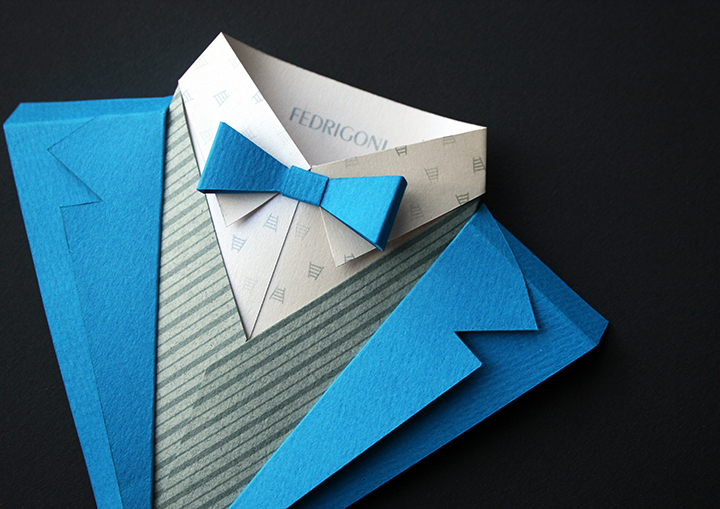 Fedrigoni is a large manufacturer of fine papers in Italy. 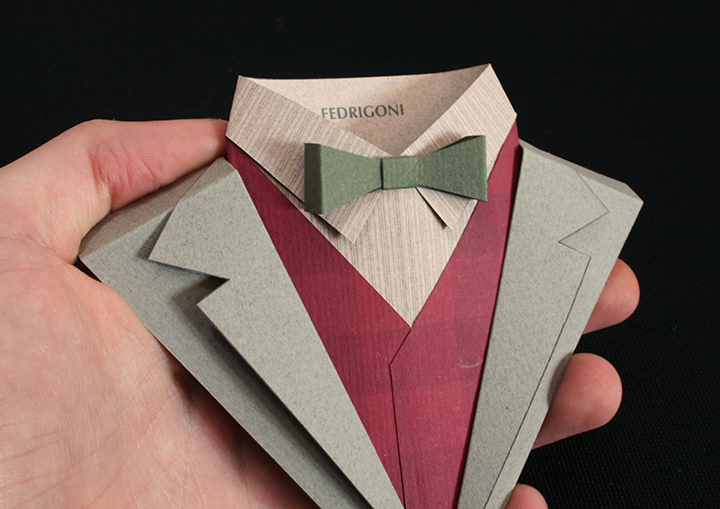 Here you see some beautiful samples of suits built with Fedrigoni’s papers, which are part of the campaign designed by Jonathan. I invite you to visit the artist’s website to learn more details about this project.